What’s your e350 engine temp? Hi everyone — I already have 37,000 miles on my car. Needle for engine temp is mostly just below 100 degrees. At highway speeds on cool/cold days, temp drops down. Sometimes it goes down to almost 80. It’s all within normal range according to the manual. But I was curious on what temps you’re all at? 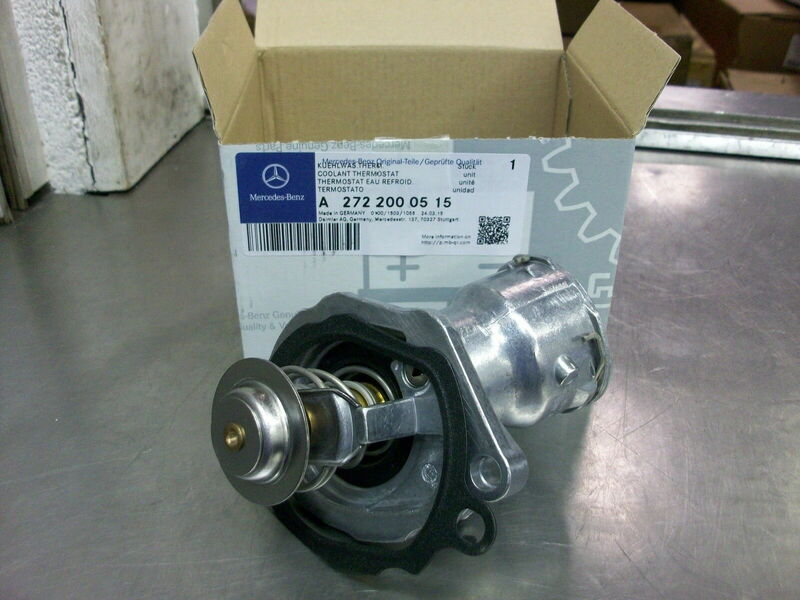 Is it same as me for the E350? I’ve searched on this forum, but didn’t see any posts. Hi, it shouldn't drop. the thermostat should keep it fixed. I guess dropping on high way means the thermostat all the time is open. 85-90 C is about right. On cold days it may be closer to 85 C.
Not really. 80 C is cooler than I have experienced. I had your car (2010 E550) and it also ran around 90 C. I did need to replace the thermostat in that car, but it threw a code and the CEL came on. When it went bad it ran at 80 C until I replaced the T-Stat. Then it went back to 90 C.
You just described my situation , i just got a CEL light , and the temp. Is always around 80°. thought it was somehow rain related(its raining bad here here). but now after reading i am almost 100 sure thats because of thermostat. Im gonna get it scanned tomorrow. Can i drive like this? Mine does something similar. If I drive at lower speeds in stop and go traffic the temp gauge won't move from 90-95. As soon as I get on the highway it drops close to 80 then after about 2 minutes it rises to 90-95 range again and stays there until I floor it for whatever reason ( then it dips again but goes back to spec after a few minutes). The CEL I got was because of the CTS (coolant temp sensor) which I replaced (it was a very frustrating thing to get out) about a month and a half ago. The CEL went away until yesterday, when it came back. The fans were on right after I started the engine (actual temp outside/engine was about 60F) and kept going until I erased the error. Took it for a drive today, there's no CEL or CTS error but it still does the temp dip. I was considering the thermostat but the coolant looks clean and I see no reason for that to fail. Maybe it just lazy. hey Belarus, sounds like your tstat is indeed failing. Yes, you can continue to drive. The default is for the tstat to go to full open. Change it when you can. Beyond the CEL you should have a stored code. 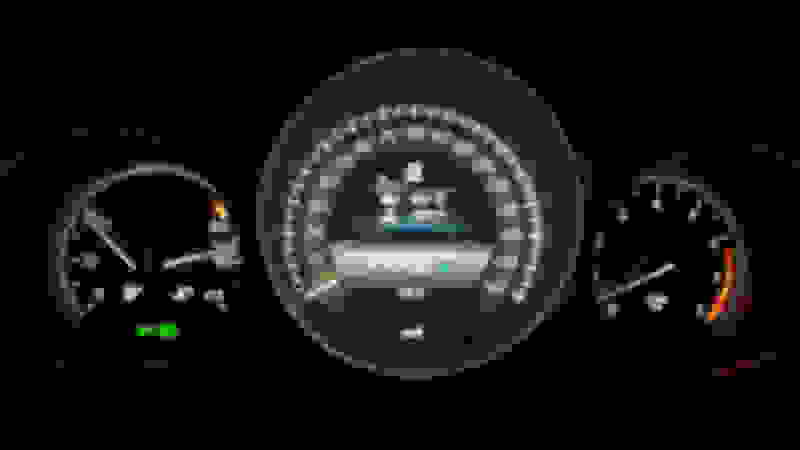 The cluster gauges are dummy gauges and show the propaganda values. On our W211 I install climatronic, that shows sensor readings. Observing temperatures of 320 Bluetec, it was 80-82C on flat driving, but would drop as low as 73C going downhill. Thanks Zee! My 2016 E350 normal temp is identical to yours. At highway speed on cool days it drops down to 80.
thanks KEY , now it all make sense , since ive been watching temp. gauge pretty closely lately and ive noticed a little bit different behavior than usual. instead of 90 it stays 80 , but it does go up to 85 here and there. not 90 tho. ill watch it tomorrow again. i didnt know when thermostat goes bad it affect fluid in any way , is that so?? and what code did you get with that bad sensor? 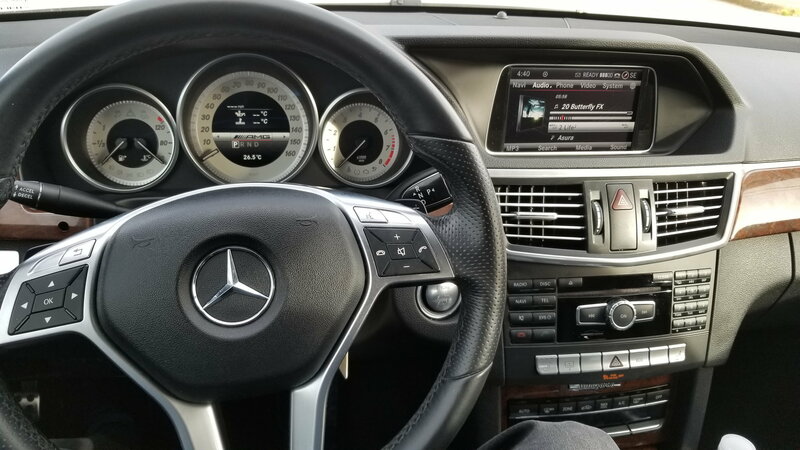 My 2008 Bluetec has electrovalve controlled by computer. And again, you are drawing conclusion from dummy gauge. Get a gauge that can read real data. I don't think a bad thermostat affects coolant, unless it's somehow pushing contaminants in. I am not familiar with the thermostat in the M273 so I don't know if it's an electrically actuated version or a classic thermostat. I did some digging and it does have an electrical plug attached to it, but it might be for the secondary reading of coolant temps which is used by the IC in case there's something wrong with the CTS in the back of cylinder bank1. I think it might just be a classic style thermostat, from the looks of it there's no room for an actuator valve in there. The other day when my CTS was acting up again, the temp reading was around 85-90. As soon as it started working again (after erasing the error code in the ECU with my diagnostic tool) the real temp was shown and it was much lower than the previous/backup one - 75. I'm guessing the main sensor is the CTS and the secondary is the thermostat mounted one. I posted a PDF which will show you how to check the thermostat and see if it's working within the designated parameters. The other one is showing how to remove the CTS, makes it look easy but it's a huge pain. Message me if you decide to do it ,I'll give you some pointers which are not in the PDF. For the CEL, you need what Chris said, a proper diag tool will pay for itself in misdiagnosed issues and unnecessary parts swapping. Once you read the error code, it will tell you if it's a CTS or thermostat related one. I don't remember the code on mine but my tool did specify it's a CTS failure. I think the thermostat will have it's own error code. Last edited by Oda112; 02-14-2019 at 11:35 AM. Looks like it is a classic thermostat. i doubt i will be able to do the testing part. But i will definitely get it scanned. yeah it does look like a classic one , and i found a Wahler(i believe an oem supplier for Mb). as long as i test it and it say thermostat i will buy it right away , i already checked out YouTube videos and in sure i can do it myself. once i get more info i will post back to update. Just got it scanned and my guy said it is the thermostat. So gonna order a new one asap. That's activated via "AMG Menu". Search on YouTube. You will need Mercedes SDConnect + Vediamo software for that. By the way, I recently retrofitted 2015 3 pod Instrument Cluster and NTG4.7 onto my 2012 Prefacelift. 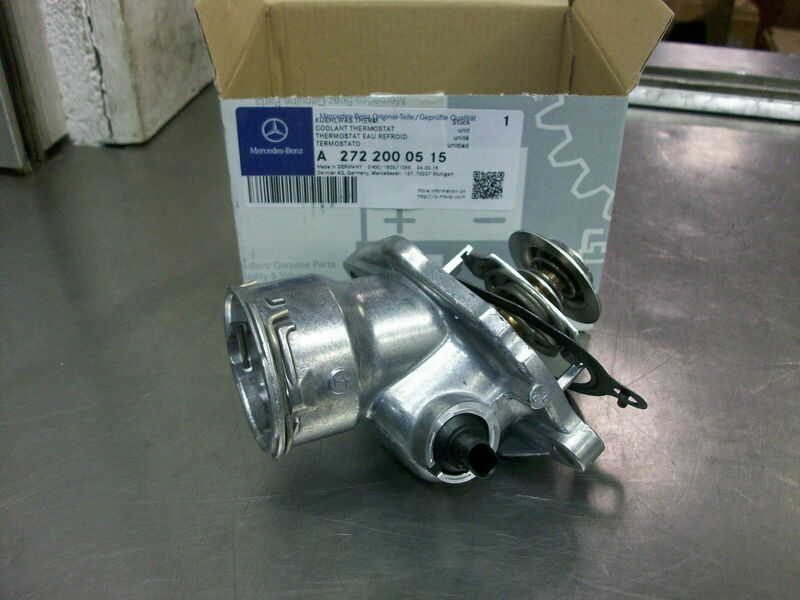 Quick Reply: What’s your e350 engine temp?